In the years following World War II, a young French woman, Genevieve de Galard, decided to make a big change in her life. “The English studies I had pursued were for my personal interest, and I realized that continuing in that direction could not fill my life,” de Galard writes in her autobiography, The Angel of Dien Bien Phu: The Lone French Woman at the Decisive Battle for Vietnam (Naval Institute, 208 pp., $23.95), translated from the French by Isabelle Surcouf Toms. Genevieve de Galard become the only woman among the 11,000 or so French military personnel at Dien Bien Phu during the famous 1954 Vietminh siege that ended French occupation of Indochina. That was not her plan, though. 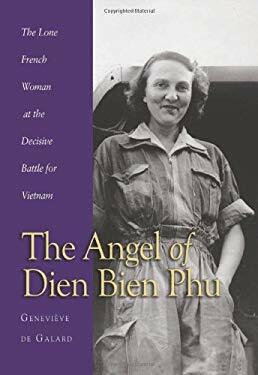 The young woman flight nurse was about to leave Dien Bien Phu, when her plane (a French Air Force C-47) was hit by enemy artillery, and she was stranded there. In this memoir, which was published in France in 2003, de Galard includes details of what it was like tending to the wounded and dying in the Dien Bien field hospital—as well as her time being held prisoner for seventeen days by the Vietminh after the battle. She was honored for her efforts during the siege with the French Knight’s Cross and the Croix de Guerre. President Eisenhower invited her to the United States, where de Galard received a ticker tape parade in New York City, a standing ovation from the entire U.S. House of Representatives, the Presidential Medal of Freedom from the President himself, and the nickname (from American newspaper reporters) that is the title of her book. David Zierler, who works as a historian for the U.S. State Department, has a different take on the consequences of the spraying of the extremely toxic herbicide Agent Orange in Vietnam in his book The Invention of Ecocide: Agent Orange, Vietnam, and the Scientists Who Changed the Way We Think (University of Georgia, 232 pp., $59.95, hardcover; $24.95, paper). This book–unlike most books about Agent Orange and the Vietnam War—does not focus on the wide range of serious diseases caused by exposure to A.O. Bill Hayton’s Vietnam: Rising Dragon, which we reviewed back in May, is now out in paperback (Yale University, 254 pp., $22). The book is a well-reviewed first-person report on the country of Vietnam circa 2006-07. Hayton, who was booted out of the country by the Vietnamese authorities, looks at Vietnamese society, economy, and its authoritarian (but capitalism-friendly) government. For more info, go to the book’s Facebook page or the Yale University Press web site. 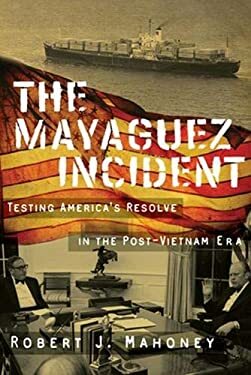 The May 12-15, 1975, Mayaguez incident was the “last chapter of the United States’ military involvement in Indochina,” Robert J. Mahoney notes in The Mayaguez Incident: Testing America’s Resolve in the Post-Vietnam Era (Texas Tech, 336 pp., $39.95). The book is a detailed, multifaceted, and creditable account of what happened off the coast of Cambodia just days after the end of the Vietnam War. What happened was that Khmer Rouge forces, using captured American swift boats, seized the Mayaguez, an American merchant ship, in international waters. That left President Gerald Ford with a very difficult choice: Use force or negotiate? Caplan, an Associate at Harvard University’s DuBois Institute and a Fellow at the Women and Public Policy Program in Harvard’s Kennedy School of Government, goes on to make her case that there are other ways aside from psychotherapy and drugs to help veterans suffering emotionally from war-time trauma. “We sent many Vietnam and Gulf War vets behind psychotherapists’ doors to deal with their anguish, and we’ve come to think it’s the best thing to do,” she writes. “Unfortunately, in our over-psychologized society, we’ve also come to think that it’s the only thing to do. “I was a fifty-two-year-old U.S. Army lieutenant colonel returning to Vietnam thirty-one years after I had been there as a kid in the U.S. Navy during the war.” Those are the opening words of Thomas T. Smith’s Until They Are Home: Bringing Back the MIAs from Vietnam: A Personal Memoir (Texas A&M University, 148 pp., $29.95), a concise, readable account of the author’s 2003-04 tour of duty as the head of the U.S. MIA Office (Detachment 2) in Hanoi. Smith traveled widely during his duties, including to Cambodia and Laos. His book includes plenty of photos of the places he visited, including recovery sites. There are three pictures of the first repatriation ceremony Smith conducted. It took place on September 30, 2003, on the tarmac of Hanoi’s Noi Bai Airport in the shadow of a USAF C-17 jet transport plane. On hand for the solemn, silent occasion were members of the Joint Task Force-Full Accounting staff from Hawaii, representatives of the Vietnamese government, and a group of VVA’s Veterans Initiative Task Force members, including then VVA National president Tom Corey–the event’s “special guest of honor,” Smith says. James T. Gillam is a Vietnam veteran who today is a history professor at Spelman College. GIllam’s book, Life and Death in the Central Highlands: An American Sergeant in the Vietnam War, 1968-1970 (University of North Texas, 295 pp., $27.95), is primarily a Vietnam War memoir, but it also contains a good deal of the history of the American war in Vietnam. Gillam tells his story well in this readable book. He was drafted into the Army in August of 1968 after he was, as he puts it, “dismissed” from Ohio University because of his “indifferent performance in classes.” Gillam had Basic at Fort Knox and Infantry AIT at Fort Polk, where he thrived. He was chosen to go to the NCO Academy at Fort Benning, sometimes known as “Shake ‘n Bake School” because it turned out staff sergeants in twenty-four weeks. He arrived in Vietnam in September of 1969, and put in nine tough months with the 1st of the 22nd of the 4th Infantry Division before coming home in June of 1970. Gillam puts most of the historical background material in the opening sections of the book. Once he gets to Vietnam, the story concentrates on what happened on the ground. Much of it deals with life and death, and most of it makes for intriguing reading. After getting out the Army, Gillam got back on track academically, earning his B.A. from Ohio University, M.A. from Case Western Reserve University, and a Ph.D. in Chinese history from Ohio State University.